Summer is officially here, and it is time to get out and enjoy the warm weather! I love spending the day outside in the sun, but sometimes you need to find a way to cool down, and Hendricks County has just the answer for you. We are home to three delicious ice cream destinations that are sure to cool you down on these hot summer days. This awesome family-friendly ice cream shop offers soft-serve ice cream, hard ice cream or frozen yogurt making it a one-stop shop for any type of ice cream treat. 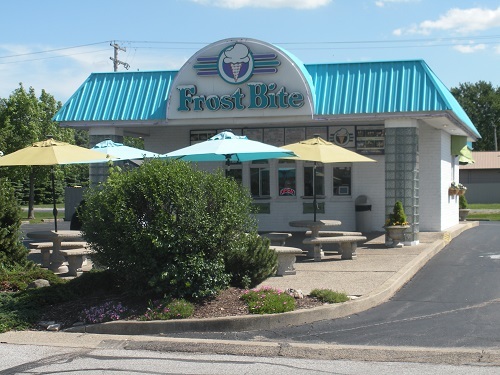 Located just off U.S. 36 in Avon, Frost Bite is known for their mouthwatering, chocolate-lined waffle cones and is an ideal spot for both walk-up and drive-through customers. They offer outdoor seating out front and a covered dining area in the back. So bring your friends and family and enjoy some excellent ice cream. If you are a chocolate lover, I highly recommend their chocolate ice cream. You can even find some coupons for Frost Bite on the Visit Hendricks County Special Offers page. If you like the small, hometown feel with your ice cream refreshment, there truly is no better place in Hendricks County to take your family than the Lizton Dairy Bar. Located just off I-74 on the northwest corner of U.S. 136 and Ind. 39, the Dairy Bar has everything from milkshakes and ice cream cones to blizzards and some homemade creations that you will only find there like Tollhouse Treasure or Cupcake Flurry. The customer service is absolutely fantastic at this small town gem that you definitely should experience. This family-owned business located on Main Street in Brownsburg is know for its super premium ice cream with a very creamy, smooth and rich flavor. Right when you walk in, you are welcomed by a friendly staff waiting to take your order. 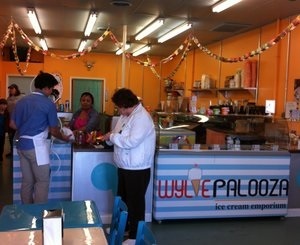 Wyliepalooza Ice Cream Emporium has various flavors of ice cream ranging from regular chocolate ice cream all the way to Key Lime Pie. My personal favorite is the the mint Oreo! But with so many flavors to pick from, there are plenty to satisfy any and every sweet tooth. Believe me, the rich and flavorful ice cream will keep you coming back for more. So, there you have it! My personal choices for best ice cream spots in Hendricks County. Get out and support these wonderful cool spots this summer. Kate is the Marketing and Sales intern at Visit Hendricks County. She is currently a senior at Ball State University majoring in Hospitality and Food Management. Kate enjoys playing golf and being outdoors.